A new dialog with open as shown below which contains 4 options. *Smart Social - allows you to buy social bundles such as Facebook bundles, Whatsapp bundles and music bundles. Enter 1 to buy social bundles. 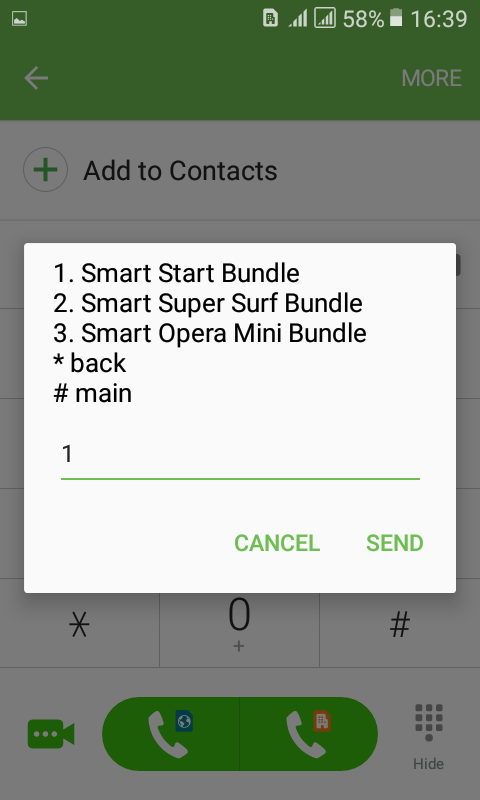 *Smart Surf - allows you to buy daily and weekly bundles. It contains useful bundles such 1GB(daily)/ 1GB(weekly) bundles, Opera mini bundles and many more. 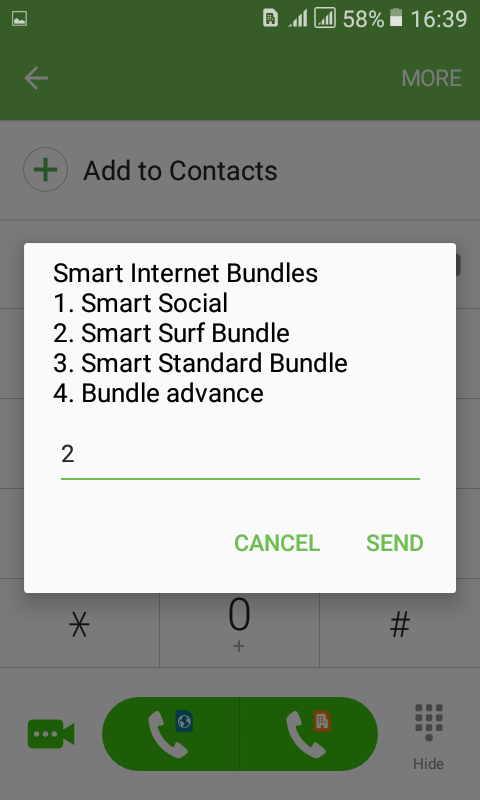 Enter 2 to buy smart surf bundles. *Smart Standard Bundle - it is made up of a lot bundles from weekly to monthly bundles. It has bundles ranging from 30mb to 20GB+. Enter 3 to buy smart standard bundles. Step 2: Select from bundle that suits you. Let's pretend we want to buy a bundle from Smart Surf. Enter 2 to buy a bundle from Smart Surf. 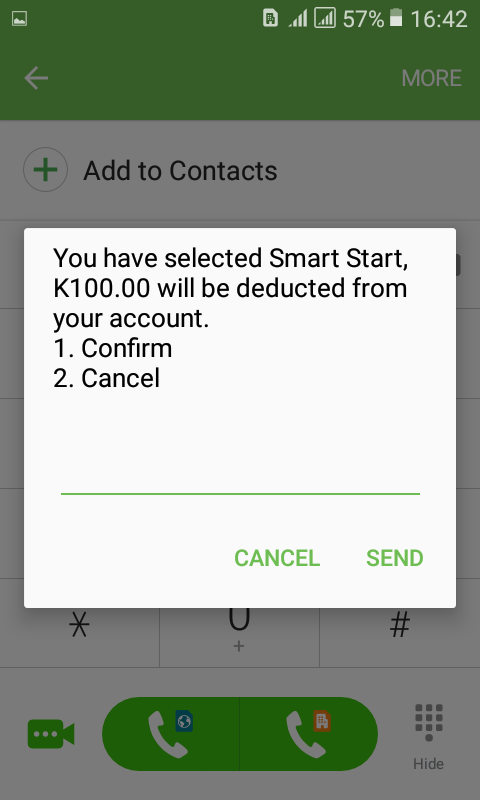 Step 3: Enter 1 to choose Smart Start Bundle. 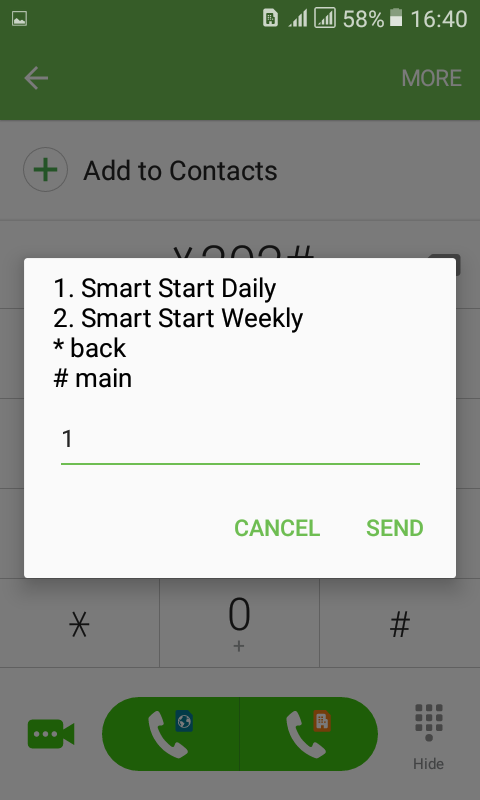 Step 4: Enter 1 to choose Smart Start Daily. Step 5: Confirm by entering 1(confirm). Note: from step 2 to step 5 it's just a demo of how to buy bundle(Smart Start Daily), the steps might differ depending on the bundle you want to buy. You can also buy tnm data bundles directly by entering a subscription code. For example to buy the same bundle we bought you can type *200*7# and you will be able to buy the bundle. Every bundle has a subscription code you can use to buy directly. Visit TNM Website to view all subscription codes for all the bundles. 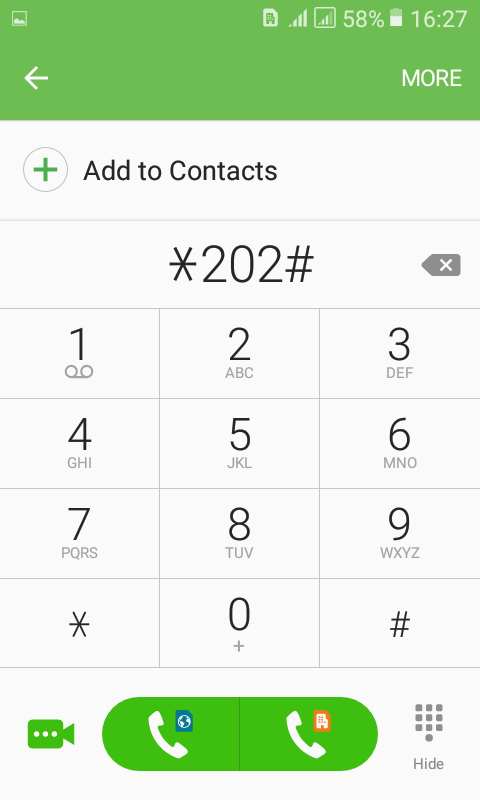 You can buy tnm data bundles by following the steps outlined below: **Step 1**: dial ***202#** ! [*202# dialing image](https://i.imgur.com/4QZpG4t.png) A new dialog with open as shown below which contains 4 options. ! [*202# dialog](https://i.imgur.com/mSAn02e.png) *Smart Social - allows you to buy social bundles such as Facebook bundles, Whatsapp bundles and music bundles. Enter **1** to buy social bundles. *Smart Surf - allows you to buy daily and weekly bundles. It contains useful bundles such 1GB(daily)/ 1GB(weekly) bundles, Opera mini bundles and many more. Enter **2** to buy smart surf bundles. *Smart Standard Bundle - it is made up of a lot bundles from weekly to monthly bundles. It has bundles ranging from 30mb to 20GB+. Enter **3** to buy smart standard bundles. **Step 2**: Select from bundle that suits you. Let's pretend we want to buy a bundle from **Smart Surf**. Enter **2** to buy a bundle from Smart Surf. ! [buy smart start bundle](https://i.imgur.com/ZTyjGTk.png) **Step 3**: Enter **1** to choose **Smart Start Bundle**. ! [smart start bundle](https://i.imgur.com/AnaS8W6.png) **Step 4**: Enter **1** to choose **Smart Start Daily**. ! [smart start daily](https://i.imgur.com/av47l1w.png) **Step 5**: Confirm by entering **1**(confirm). ! [confirm](https://i.imgur.com/zPgJtHe.png) **Note**: from step 2 to step 5 it's just a demo of how to buy bundle(Smart Start Daily), the steps might differ depending on the bundle you want to buy. **or** You can also buy tnm data bundles directly by entering a subscription code. For example to buy the same bundle we bought you can type **\*200\*7#** and you will be able to buy the bundle. Every bundle has a subscription code you can use to buy directly. Visit [TNM Website](https://www.tnm.co.mw/smart-data) to view all subscription codes for all the bundles. This is a very useful guide. Have an upvote.